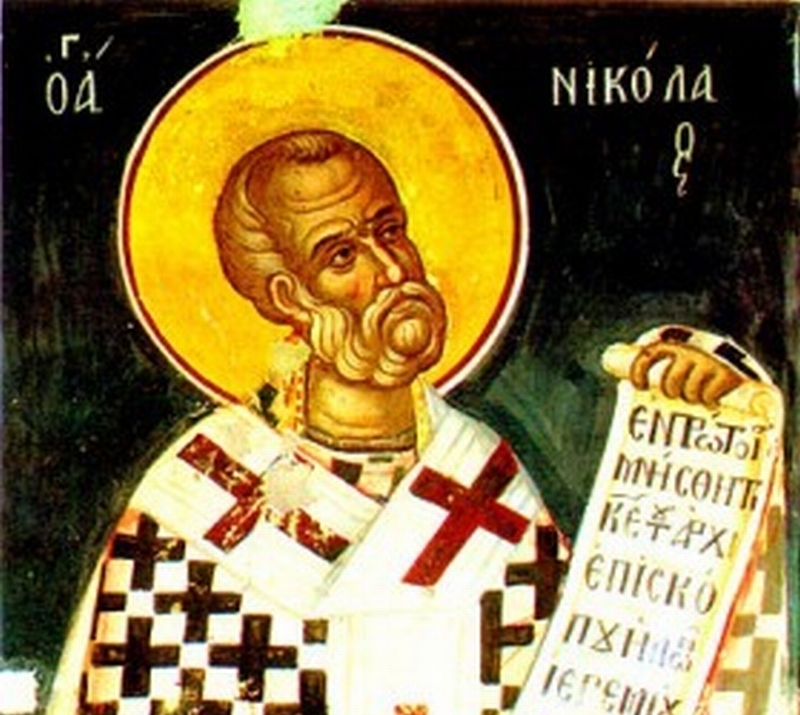 Holy Hierarch Nicholas, Pray Unto God For Us! When glorifying entire hosts of saints, great holy hierarchs are normally glorified first, and we have all grown accustomed to the fact that, at the head of this host of holy hierarchs, there always stand the three great Universal Hierarchs and Teachers: Basil the Great, Gregory the Theologian, and John Chrysostom. This is understandable, because each of these great hierarchs has laid his precious gifts into the treasure of theology and ecclesial struggle. Therefore the Church specially glorifies them, having established a feast of all three of them together and likewise celebrating triumphant services on each of their individual days. 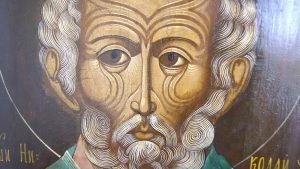 The glorification of that great holy hierarch whose memory we today glorify, the Holy Hierarch and Wonder-Worker Nicholas, stands in a special position. He did not leave behind such a rich spiritual inheritance as these three great men; but, at the same time, we all know how solemnly the Church glorifies him. 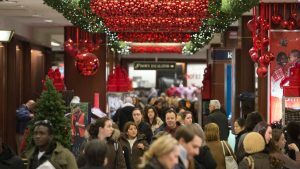 The feast days of St. Nicholas, in their solemnity, even resemble the Twelve Great Feast Days. Why? Because he incarnate in his life that virtue that is accessible, understandable, and dear to every person and to every heart, even to those who have renounced all else that is holy. This is love and mercy. It is no accident that Russians called St. Nicholas “Nicholas the Merciful.” His miracles are as numberless as the stars in heaven. But I would like to remind you of one touching miracle of his mercy. This was not some time back in antiquity, but in our own days, in the city of Harbin, where I lived for more than forty years. The city of Harbin, the Harbin Station. At the station a large image of St. Nicholas the Wonder-Worker, before which hundreds of candles were always burning, enjoyed the special reverence of all who passed through. These candles were placed there by people who were leaving and by those seeing them off; prayer was there constantly raised to the great Holy Hierarch, so that he would cover all travelers with his protection. There were always many people in this place, because the rail traffic there was very busy. Once the people who were there saw (they themselves related this; this is their own account; it was early spring, when the Songhua River, on which Harbin rests, was having its spring ice drifts), that a Chinese man suddenly came running, completely wet from head to toe. He ran up to the image, collapsed onto his knees, stretched out his arms, and said something in Chinese. It turned out, as related by those who knew Chinese, that he was thanking the Holy Hierarch for salvation from destruction. Here is what had happened: he (the Chinese man) for some reason was hurrying at great speed from one bank to another. But the river was wide, and there was ice on it. He decided to risk it: he ran onto the ice, jumping from one ice floe to another. He slipped, fell, and ended up underneath the ice. Already choking and perishing, he remembered this wonderworking image that was revered not only by the Russian Orthodox, but also by his pagan compatriots. Drowning, he desperately cried out: “Old Man from the station, help!” He lost consciousness and became completely immersed in the water – he was already perishing… When suddenly he found himself on the other bank of the river, wet but alive and unharmed! 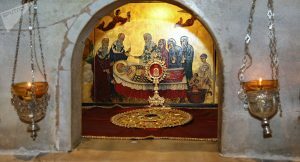 So he started running, even though the station was far away, and ran there to give thanks before the image of the great Holy Hierarch for this absolutely clear and awesome miracle of his mercy and love. 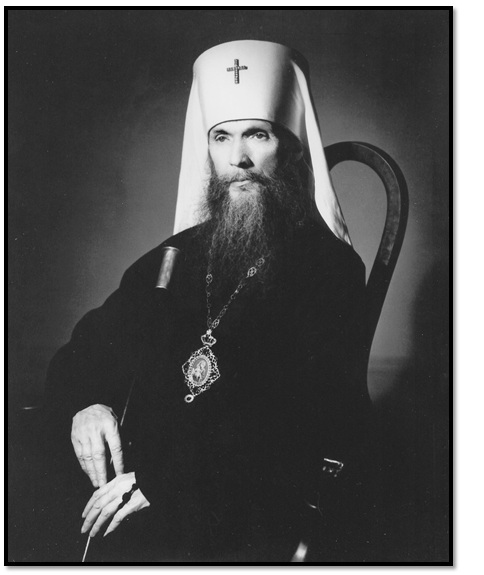 Thus the entire human race, and not just the Orthodox Church, glorifies this Holy Hierarch. Therefore, whenever someone feels himself to be in a difficult position, or has some kind of need, he turns to St. Nicholas. Of the hundreds of appeals that are carried to the great Holy Hierarch there, in the heavenly world, he hears and fulfills them all, if only the supplicant has appealed with firm, strong faith. Therefore the Russian people so love St. Nicholas and constantly pray: “Holy Hierarch Nicholas, pray unto God for us!” Amen.